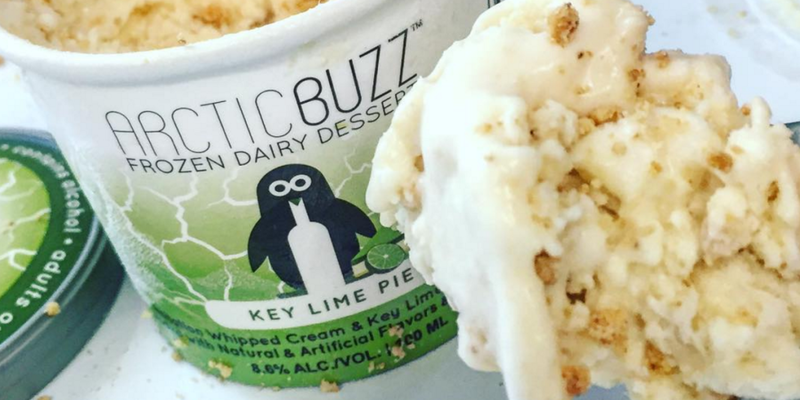 If drunk desserts are your thing, you're totally going to love ArcticBuzz, a Baltimore-based company that makes six different kinds of ice cream that can actually get you tipsy. Boozy ice cream or other alcohol-infused desserts often have spirits that have been cooked down to remove their potency so that you don't feel the alcohol too much. In other words, if you are looking to get toasty off of ice cream, you usually need to add the booze yourself and whip up a tasty Mudslide or another adult milkshake. That's not the case for ArcticBuzz, though. Their Key Lime Pie, Cookies and Cream, Chocolate, Raspberry, Vanilla and Coconut flavors have between 8.6 and 8.9 percent alcohol, according to Delish. That's around the same percentage as a strong craft beer! Considering that a lot of other boozy ice cream flavors, like the ones from Haagen-Dazs, are only around one percent, this could be a game changer. "If you have ever put a bottle of vodka in the freezer, you know the vodka wins every time," the company wrote on its website, alluding to the magical culinary properties that prevent alcohol from freezing solid, thus hindering many a drunken ice cream recipe. "After working with several different recipes and numerous tastings, ArcticBuzz has cracked the code and delivers home made, hand churned, smooth vodka frozen dairy dessert." The flavors feature a variety of mix-ins like fruit chunks, crunchy shredded coconut and pie crust, and they each have matching flavored vodka. For instance, the Key Lime Pie ice cream has key lime vodka, and the Cookies and Cream flavor has, you guessed it, cookies and cream vodka. "We work closely with a local distillery to create artisan flavors that are formulated solely for our product!" wrote the angels who crafted the amazing desserts. " … We continue to be locally made with a 'kick' from our freezer to yours. 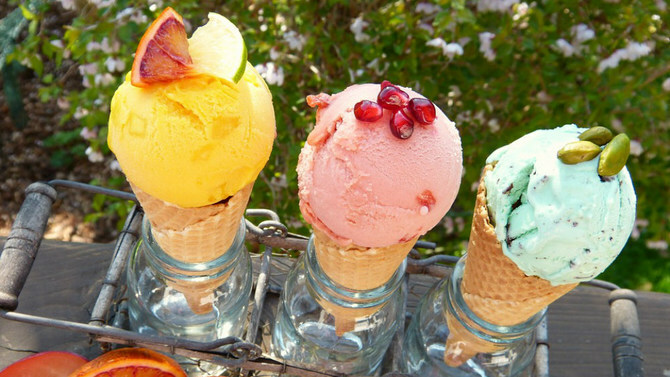 We hope you find ArcticBuzz to be the ultimate in taking ice cream up to a new degree." The ice cream is currently only available in Maryland, but I'm hoping it goes mainstream some time soon.